Sign up for the CLE offered by the ABA’s Center for Professional Development on The Ethical Advantage of Emotional Intelligence at 1:00 PM – 2:30 PM ET on December 12, 2017 and receive two significant discounts. Panelists are Dr. David Shor of Northwestern University and Ronda Muir, Esq., Founder and Principal of Law People Management, LLC. Registrants receive 1.50 Ethics/Professionalism CLE Credit Hours. What is emotional intelligence and what does it have to do with ethics in the practice of law? This webinar will review the ways that emotional intelligence can produce more ethical behavior, including better communication, risk analysis, and advocacy. While emotional intelligence is relevant to many provisions of the Preamble and a number of the Model Rules of Professional Conduct, we will focus on Rules 1.1 (Competence), 1.4 (Communication), 1.7 (Conflict of Interest), 3.2 (Expediting Litigation) and the recently revised Rules 8.3 and 8.4 (Professional Misconduct and Reporting). We will review the current trends in disciplinary and malpractice claims, probable causes of unintentional unethical behavior and recent examples of ethical dilemmas with respect to these Rules. The four major components of emotional intelligence will be identified and their contribution to ethical behavior under these six Rules will be explained. We will also demonstrate basic exercises to help raise individual emotional intelligence skills, starting with emotional awareness, and explore the steps legal workplaces can take to raise their organizational emotional intelligence. As a member of the faculty, Muir is able to provide you 10% off your registration rate when you enter this discount code CE15CPDWEBVIP at check-out. 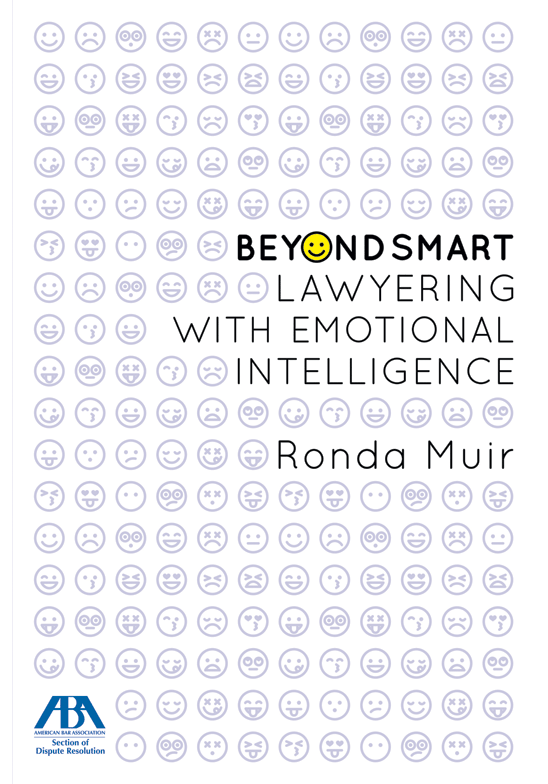 In addition, registrants also receive a 30% discount off Beyond Smart: Lawyering with Emotional Intelligence by Ronda Muir. Offer Expires 1/12/2018.